William G. Thornton advises clients on international business transactions and related compliance matters. He helps clients expand businesses overseas, comply with United States laws and regulations, and helps foreign businesses enter the U.S. or expand U.S. operations. 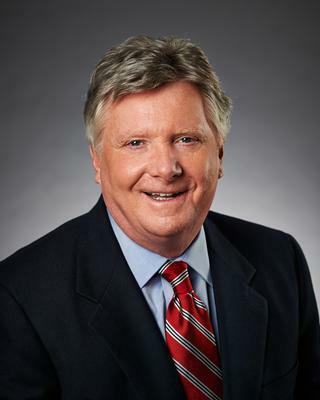 Bill started practicing law in 1978 as an intellectual property trial lawyer and has held in-house counsel positions with Land O’ Lakes, Inc. and DataCard Corporation. He has also served as director of international marketing – food products for Land O’ Lakes. This combination of business and legal experience gives him a unique perspective on clients’ needs and enables him to provide practical and focused business counsel. Bill is a frequent speaker at international and domestic meetings on export control, anti-bribery compliance and international arbitration. Coordinated and assisted a startup telecommunications service provider in its expansion into European and Austral-Asian markets including advising on regulatory compliance, formation of entities and employment matters. Advised franchisors in their analysis of foreign markets and foreign regulations and development of international franchise agreements. Provided distribution and regulatory compliance counseling to United States manufacturers of medical devices in connection with their expansion into world markets. Advised corporate clients in the creation and termination of distribution and sales representative agreements in multiple foreign venues. Advised clients in the enforcement of rights and recovery of property in numerous countries including Egypt, Turkey, Brazil and Argentina. Advised U.S. manufacturers in liquidating and deregistering operations in countries and regions such as Canada, Colombia, the European Union, Brazil and China. Advised clients on the international licensing of fruit protected under plant variety protection laws, including essentially derived varieties and trademarks. Advised clients on General Data Protection Regulation compliance; these matters include updates to data privacy policies, appointment of data privacy officers and use of compliant information transfer registrations and agreements. Conducted investigations of and prepared responses to the U.S. Treasury Department’s Office of Foreign Assets Control and the U.S. Commerce Department’s Bureau of Industry and Security claims of export law violations. Successfully obtained a commodity jurisdiction determination under the International Trade in Arms Regulations (ITAR), enabling a manufacturer of electrical components to avoid penalties for alleged violations of ITAR through the export of products. Undertaken numerous product classifications under export control regulations and tariff schedules. Prepared policies, provided training and provided advice related to export control compliance under the Export Administration Regulations, ITAR and OFAC regulations. Prepared policies for Foreign Corrupt Practices Act (FCPA) and anti-bribery law compliance; conducted in-house training for corporate clients on FCPA and regulatory compliance; conducted investigations of possible violations of the FCPA and reported the results of the investigations to the boards of directors of the clients. Provided guidance on Report of Foreign Bank and Financial Accounts (FBAR) filings for corporations and their officers and directors and Foreign Account Tax Compliance Act (FATCA) compliance. Created policies for handling of personal data in compliance with international data privacy laws and assisted in the development of agreements for the transmission and processing of data from foreign countries to and in the U.S., including the EU General Data Protection Regulation. Advised clients on general export control and anti-bribery law compliance under both U.S. and foreign laws. Advised multi-national clients on compliance with and reporting under U.S. federal trade regulations. Coordinated and oversaw voluntary disclosures regarding reporting violations and negotiated non-monetary settlements with the U.S. Census Bureau. Assisted a large midwestern aggregate supply, mining and paving material supply corporation in a multimillion dollar sale of an aggregate processing facility. Assisted clients in making reports to the Consumer Product Safety Commission (CPSC) and the resolution of CPSC investigations. Advised clients on the development, documentation and rules for sweepstakes and contests offered both domestically and internationally. Developed distribution and sales representative agreements for domestic use. Advised cooperatives on administrative, corporate, marketing and licensing matters. Hamline University School of Law, St. Paul, MN, 1978 J.D. Northeastern University, Boston, MA, 1973 B.S.